This album contains photos from a day trip to western Rhodes. The drive west included a stop at Emery Winery for some wine tasting. The winery is located in the center of the island, where there are many vineyards. Notable stops on the west were Ancient Kamiros, Kritinia Castle and Monolithos Castle, all very impressive sights and not over-run with tourists, as fewer people make it to the west coast of the island as Rhodes Town and Lindos in the east. 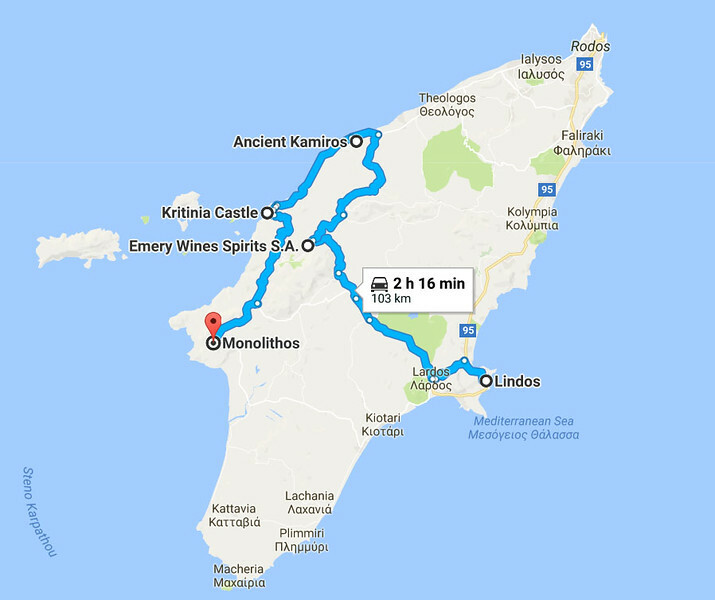 Stops on the day-trip: Emery Winery, Ancient Kamiros, Kritinia Castle and the Castle of Monolithos.